Or do they always stay the same? That’s more of a philosophy question. I’m more of a science guy. I like tangible theories that can be measured, questions with answers that have irrefutable proof. I’m not much for matters of the mind with no exact equation, therefore without exact answer. I’ve heard it said that the more people change, the more they stay the same. That statement is confusing. Whatever “great” mind came up with the saying probably was a philosophy major and had no knowledge of scientific reasoning. A mathematical and scientific fact. In an equation, a + b = c. If even just one variable is changed, the entire equation changes, the answer does not remain the same. If math and science don’t give enough irrefutable proof, the world I live in does. In the universe of high school and growing older, everyone changes. It’s a natural evolution of life. I see her every day. Even without my glasses, my eyes would still make out her shape. She’s one of those girls the eyes must look at, just like the lungs must breathe oxygen. Her presence is loud in the hallways of Edward Little High. Yet her reputation is quiet… at least the real one anyway. Whispers. I hear them. When you are invisible, or thought to only think about equations and charts, people think you don’t listen. But I hear. The Choice thinks they know everything, but the people who know the most in this school are the ones who are known the least. I’m practically a shadow, practically a ghost. “Beat it, losers!” Tad yells from across the hall. My friends and I look up, surprised he’s talking to us. Okay, maybe I’m not as invisible as I thought. I glance at Kelly as we scurry off. Or maybe, I’m only visible when my presence is useful. I knew Kelly once, a long time ago. Practically in another life. We aren’t friends. She probably doesn’t even remember my name. I remember hers. I remember the way she used to twist her Oreos in two and hand me the side with the most cream. The way she would grab my hand and pull me off to play before who we were got in the way. I remember when she was nice. As I walk to class, my two friends by my sides, I tune out their conversation and wonder. I saw the way Kelly was looking at Tad, her best friend’s boyfriend. It was a sign. Kelly was gearing up to take down another one. It was a pattern. Patterns always repeat themselves. This time, I wondered if she would go too far. Kelly was the reason I was spending my time on an internal philosophical debate. Do people change? The theory was no. I was seeing evidence to the contrary. The girl I knew all those years ago would never act the way she does now. The whispers follow her around the hall. 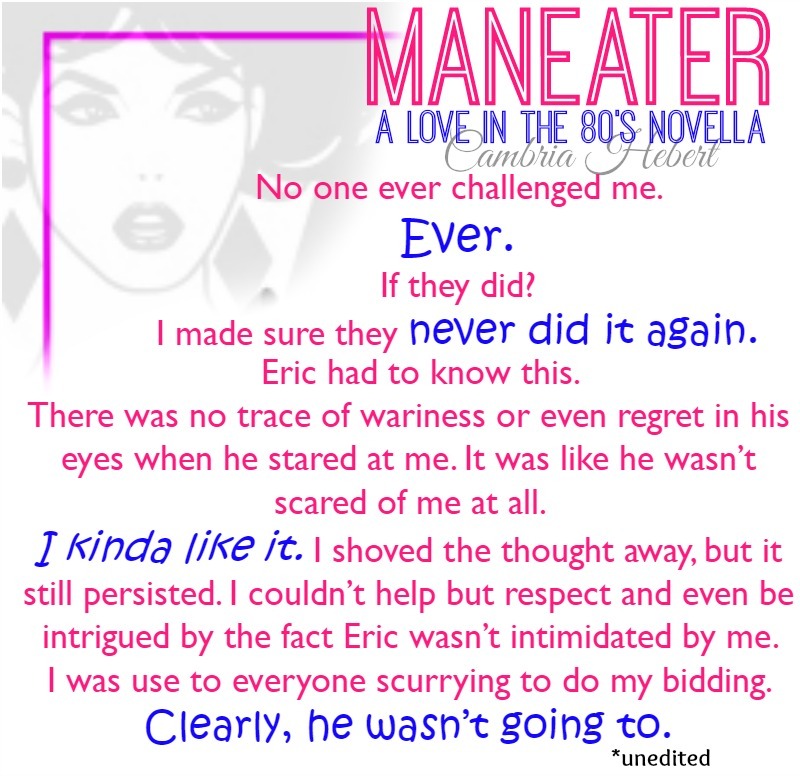 Cambria Hebert is an award winning, bestselling novelist of more than twentybooks. She went to college for a bachelor’s degree, couldn’t pick a major, and ended up with a degree in cosmetology. So rest assured her characters will always have good hair. 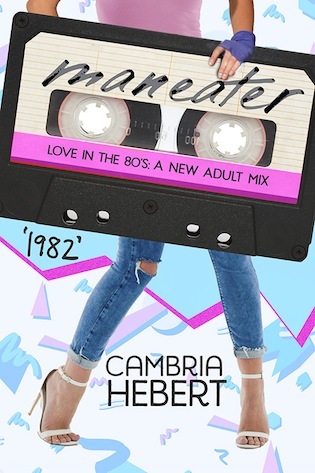 Two of my favorite things…the 80s and Cambria’s writing!!! I can’t wait to read this, I’m a huge fan of Cambria’s :).. Thanks for sharing.